ULAN BATOR, May 29 (Reuters) - Mongolia plans to issue a $1 billion debt offering to put its fiscal affairs back in order, it said on Thursday, as it tries to ride a wave of good will that arose from a $6 billion deal with global miner Rio Tinto (Xetra: 855018 - news) for its giant Oyu Tolgoi copper mine. According to a statement from Thursday's Cabinet meeting, a deal for the launch of the crucial expansion project at Oyu Tolgoi has given investors reason to reassess risk in the country. "International investors are keen to buy bonds of Mongolia," the statement said. Mongolia is hungry for cash injections after an 84 percent decline in foreign investment last year, caused by a weaker commodities market and slowing growth in China. The country faces the maturity in 2017 of state-backed bonds from the Development Bank of Mongolia worth $580 million and sovereign bonds worth $500 million in 2018. Mongolia could use the proceeds to relieve debt pressures and stabilize its balance of payments, the cabinet statement said. But the country will have to be careful in spending the funds to avoid breaching debt restrictions that cap debt to about 58 percent of GDP. "It looks like they'll use the proceeds to refinance some of their mid-term debt obligations, allowing them to avoid breaching the debt ceiling," said Badral Munkhdul, the head of the market-analyst firm Cover Mongolia. Traders speculated earlier this month that Trade and Development Bank of Mongolia left value on the table in its government-backed $500 million debt offering. Mongolia's largest commercial bank may have found more favorable conditions than the 9.375 percent yield it settled on May 19, which was above the sovereign curve, had it waited for the resolution of Oyu Tolgoi. Andrew Fennell, an analyst at Fitch Ratings, was on the fence about the idea while the government's plans on how to use the funds remained unclear. "If the ultimate purpose is for refinancing purposes then we would view the proposal as credit neutral," Fennel said in an email. "However, if the debt issuance is intended to finance additional public expenditure and raise public debt levels significantly beyond current levels then we would view this as credit negative." Fitch estimates that debt was at 63 percent at the end of 2014, which includes all debts explicitly guaranteed by the Mongolian government. TORONTO, ONTARIO--(Marketwired - May 29, 2015) - Khan Resources Inc. ("Khan" or the "Company") (CSE:KRI) is pleased to announce that it has closed the first tranche of its private placement of common shares (the "Offering") announced on May 15, 2015. Closing of the first tranche of the Offering resulted in the issuance of 4,100,000 common shares at a price of $0.40 per common share for gross proceeds of $1,640,000. The common shares issued are subject to usual resale restrictions until September 30, 2015. No fees or commissions were paid as part of the financing. The Company expects the second and final tranche of the Offering to close shortly. June 1 -- Guildford Coal Limited (Guildford or the Company) (ASX: GUF) has signed a Memorandum of Understanding (MOU) to acquire an 80% stake in a large thermal coal project and associated power station project in Mongolia. Tsaidam Energy LLC holds the Tsaidamnuur 600MW mine mouth coal fired power plant project which is located 132 km south east of Mongolia's capital Ulaanbaatar and 15 km from the Trans Mongolian Railway line, which traverses Mongolia, connecting Russia and China. The Tsaidamnuur Project consists of 3 mining licences which contain a large thermal coal deposit with Tsaidam Energy LLC estimating, based on exploration conducted to date, that there is in excess of 630 million tonnes (non JORC Code classified) of thermal coal contained in the mining licences, which are located less than 1km from the designed and approved Tsaidam 600MW Coal Fired Power Station Project. The Power Station Project is a circulating fluidised bed combustion boiler design (4 by 150MW units) with a double circuit twin conductor 220kV overhead power transmission line for connection to the nearby grid of the Central Energy System of Mongolia. A belt conveyer system would transport coal over the 1km from the mine to the power plant. With some load forecasts of the energy system of Mongolia indicating a more than doubling in load from 1,529MW in 2015 to 3,450MW in 2025 there is huge demand for an electricity provider. Guildford Coal has already conducted positive preliminary discussions with Chinese power providers to finance, build and operate the new power station. · The remaining 16.13% stake in 1 of its subsidiaries, Guildford Coal (Mongolia) Pty Ltd (Guildford Coal Mongolia) from 83.87% to 100%. Guildford Coal Mongolia controls 1 mining lease and 1 pre-mining lease, which are part of Guildford's greater South Gobi coking coal project and are contiguous to Guildford's BNU producing coal mine. The transaction is subject to detailed due diligence, agreement on acceptable long form transaction documents and Guildford Board final approval. Guildford Managing Director Michael Avery said "This is a great outcome for Guildford and if completed adds a further large scale and near term project to the portfolio in Mongolia, which will allow Guildford to be part of supplying electricity to the rapidly growing domestic market in Mongolia." May 29 -- Guildford Coal Limited (Guildford or the Company) (ASX: GUF) is pleased to announce that on May 27, 2015, its subsidiary Terra Energy LLC (Terra Energy) has been granted a new exploration licence by the Mineral Resources Authority of Mongolia (MRAM). The new exploration licence XV-018111 greatly complements Terra Energy's current coking coal assets portfolio in Mongolia. The licenced area is located in the South Gobi coal basin, in close proximity to the Zag Suuj deposit of South Gobi Resources Ltd, and 60 km east of Guildford's producing Baruun Noyon Uul (BNU) coking coal mine. The 21.05 km2 licence has been granted for a term of 3 years. Following the 3-year term, a further 3 years can be granted in stages, up to 12 years, following approval by MRAM. The South Gobi licence XV-018111 is located in the Bayandalai province, in the southwestern corner of the Umnogovi Aimag region of southern Mongolia, approximately 130 km west of the Provincial capital Dalanzadgad. The city is accessible by a sealed road and a regular aircraft service from the Mongolian capital Ulaanbaatar. The exploration licence is accessible by unsealed roads, which also connect the area to the BNU mine infrastructure. The licence land is 140 km away from the border crossing Shivee Khuren/Ceke in China, which is the main distribution centre for BNU coal. The exploration licence will be part of the Company's South Gobi Project. The Project comprises of 9 licences, 7 of which are exploration and 2 are mining licences. The licence is strategically located approximately 60 km east of the Company's BNU mine, and 140 km east of the Nariin Sukhait area, which includes South Gobi Resources' Ltd Ovoot Tolgoi mine and the MAK mine, both producing and exporting coking and thermal coal to customers in China. The licence will share the current BNU and other South Gobi Project infrastructure. A rail line currently used by the Company is located to the south of the new licence, and has been constructed from the border crossing of Shivee Khuren/Ceke to the Chinese industrial centres. The Omnogovi Aimag is within the physiographic region of the Gobi Desert. The topography of the deposit varies from flat, gravel-covered plains to moderately hilly terrain. Surface elevation ranges from approximately 1,600 to 1,700 meters above sea level. Vegetation is sparse, consisting primarily of small shrubs and grasses. The area currently supports a traditional subsistence economy focused on raising sheep, goats and camels. The geology of the area comprises an exhumed volcanic arc system that was active during the Carboniferous period. In the Permian period thermal subsidence and thin skin tectonics developed an extensive South Gobi Basin in a series of micro-basins. The licence lies in one of these thermal subsidence regions, where extensive coal deposits developed. This basin development continued until the Early Jurassic period. The target coal resource is within the Dellin Shand suite, which is estimated to be over 1000 km thick in the basin. Outcropping target formation exists in close vicinity to the licence. The Dellin Shand suite is described as claystones, siltstones, sandstones, conglomerates and coal. The South Gobi Resources Ltd Zag Suuj coal resource is located 5 km to the north of the licence. On March 25, 2013 an independent report by Minarco-MineConsult estimated a NI 43-101 compliant 21.5 million tonnes indicated coal resource and 84 million tonnes inferred resource. The coal rank ranges between low to medium volatile bituminous coal and it is anticipated the coal will wash to produce a coking coal product. By Mongolian law, the exploration licence holders are required to provide an exploration plan within 30 days of receipt of a licence. The strategy for the South Gobi licence is to quickly develop a potential resource to JORC and MRAM standards. Initial works will include scaled mapping and ground geophysical survey to define and confirm priority targets, followed by trenching and initial non-cored drill holes to determine resource structure and potential size. Finalisation of the resource definition will include cored drill holes and full coal quality assessment for JORC and MRAM resource standards. The staged exploration strategy gives an overall cost reduction, targeting cored exploration holes where the resource is located, saving on high cost prospective drilling. June 1 -- The Board of Viking Mines (Viking: VKA.AU) is pleased to announce that it is has executed a sale contract for its Akoase Gold Project in Ghana, West Africa for an overall transaction value of US$10 million. The purchaser is the Chinese party that controls Akroma Gold Limited (Akroma), the owner of the Sian gold project located 12kms from Akoase. The sale follows a selective tender process conducted over several months by Viking's corporate adviser Emerald Partners to secure an appropriate purchaser of the Akoase Project. During this time a number of indicative non-binding offers were received from a range of international mining and exploration companies, with the Chinese party that controls Akroma ultimately successful. The acquisition of Akoase will consolidate the ownership of the Sian and Akoase gold resources providing critical mass for the ultimate development of a producing mine. · SYDNEY – Tuesday, 2nd June: The Radisson Blu Hotel is located at 27 O'Connell Street (cnr of Pitt). Starts midday. · MELBOURNE – Wednesday, 3rd June: CQ Functions - Events Room 1, 113 Queen Street, Melbourne. Starts midday. Xanadu Mines (ASX:XAM) controls one of the most promising porphyry copper-gold districts in Asia with its Kharmagtai project, and has an established portfolio of exploration projects at Oyut Ulaan and Sharchuluut Uul. The past 12 months has seen the Company deliver a Maiden JORC Resource of 1,533 Mlb Cu & >2 Moz Au with successful exploration drilling (see ASX release dated 19 March 2015 and Table 1 from 30 April 2015 which continues to apply). The Company is funded for 2015 exploration which is currently underway and targeting an increase in the resource. MIBG is pleased to announce the publication of two research notes covering recent developments in Mongolia's mining sector. The first, titled "Mongolia Economic & Mining Sector Update - May 2015" discuses the recent developments surrounding Oyu Tolgoi and the expected impact that this will have on the wider economy. Likewise, we revisit the developments that took place after the announcement of Oyu Tolgoi Stage 1 and compare the potential upside that we now see in the market in reference to Oyu Tolgoi Stage 2. This will be an interesting read for anyone interested in Mongolia's mining sector, with a view to upside over the next 12-18 months. MIBG's views is that the Oyu Tolgoi milestone achieved last week will be the catalyst for the market to gradually revisit the Mongolia story, which for most has been a red traffic light for the last 3 years as disputes over OT and other negative developments (noting significant recent legislative reform) resulted in a collapse in investor confidence and FDI. This report is a comprehensive reference document providing analysis on the key developments and why we believe advancement towards Stage 2 construction will support an inflection point in Mongolian FDI, economic growth and select asset class valuations. The second research note, titled "Kincora Copper Ltd. - May 2015 (Updated Coverage)" discuses one of Mongolia's premier exploration companies and their potential prosperity due to an improving Mongolian landscape. MIBG released initiating coverage on Kincora in March 2014. This update explores the specific developments within the sector, as they relate to the company. Furthermore, this note discusses the positive outcome of the 106 license dispute where Kincora regained control of their previously revoked licenses and provides an outlook for the company in the coming exploration season. Both pieces of research were written and prepared by MIBG SC and Resource Investment Capital Ltd. The formal cooperation between MIBG SC and Resource Investment Capital Ltd was initiated in 2013 when the two companies merged their Mongolian securities trading divisions. Questions regarding these two pieces of research or general questions regarding the current market opportunities may be directed to MIBG's research team at research@mibg.mn. June 1 (OTC Outlook) Turquoise Hill Resources Ltd. (NYSE:TRQ) has witnessed a drop of 10.8% or 2,223,887 shares in its short figure. The short interest diminution took it from 20,673,093 on April 30,2015 to 18,449,206 on May 15,2015. In terms of floated shares, the short interest was calculated to be 2%. The days to cover are 4 given that the daily volume averaged 4,670,737 shares. The information was released by Financial Industry Regulatory Authority, Inc (FINRA) on May 27th. Turquoise Hill Resources Ltd. (NYSE:TRQ) rose 1.85% or 0.08 points on Friday and made its way into the gainers of the day. After trading began at $4.27 the stock was seen hitting $4.42 as a peak level and $4.27 as the lowest level. The stock ended up at $4.4. The daily volume was measured at 5,294,961 shares. The 52-week high of the share price is $4.74 and the 52-week low is $2.65. The company has a market cap of $8,854 million. May 28 (UB Post) The Prime Minister of Mongolia, state-owned Erdenes Oyu Tolgoi, Turquoise Hill Resources and Rio Tinto signed the "Oyu Tolgoi Underground Mine Development and Financing Plan" as part of the Oyu Tolgoi (OT) Project on May 18, 2015 to determine the path for the development of the underground mine at OT. The following is an interview with CEO of Erdenes Mongol LLC B.Byambasaikhan and CEO of Erdenes Oyu Tolgoi LLC D.Ganbold, clarifying some very imported issues related to OT. Although Mongolia could've addressed an arbitrary court regarding disagreements with Rio Tinto about the OT Project, it was decided that investments for underground mine would be started. Why was this choice made? D.Ganbold: The two parties of the negotiation mutually agreed that going to an arbitrary court was an open option. Project investment has delayed for two years without any special reason. Therefore, collaborators negotiated to make sure that both sides reached a mutual understanding to prevent future controversy. Some things that were unclear in the investment agreement established in 2009 were cleared out and made more specific. It can be understood that the choice to negotiate was chosen as it was strictly believed to be a beneficial decision for the economy of Mongolia as well as the investing company. B.Byambasaikhan: The concept of the value of money is intertwined with time. Investment for the development of underground mine of the OT Project is beneficial to Mongolia's economy on condition that it's done now. The OT investment agreement was established in 2009. Development work began from 2010 and in 2011. Consequently, in economy grew by 17.3 percent. It's essential to increase the economic growth again. It seems that the two sides saw OT from different perspectives. Mongolians used to consider OT as someone else's. Presently, OT has become the largest company in Mongolia with 6,400 Mongolian employees. Approving the Underground Mine Development and Financing Plan has now allowed Mongolia to treat OT as its property, control its operations, and gain from its profits. During negotiations, the public expected changes in the investment agreement, but nothing was changed. Why weren't there any changes? B.Byambasaikhan: The investment agreement becomes a device for attracting investment. Mongolia used this device successfully in 2009. We've realized in the past three years that broaching this device that's working perfectly could bring danger of closing the path for future investments. It's important to follow established agreements. If we establish an agreement today but deceive our partners the next day, who would possibly be willing to invest? The OT Project received investment of seven billion USD. An estimation to invest an additional six billion USD has been approved. According to the 2009 investment agreements, wasn't only five billion USD required? D.Ganbold: There's a term called initial investment. The total cost can be 20 million USD with an initial investment of five million USD. It's impossible to execute the OT Project with five billion USD for 100 years. Five billion USD is nowhere near for mining gold and copper that's a km deep underground. It's true that the initial investment for the project was estimated to be five billion USD and it's true that more money was spent than was initially estimated. That's why it's causing political disputes about overspending. Depending on mining and geological conditions, technology, and financial and economic situations, the cost increased because conditions that were expected according to feasibility studies changed drastically. Mutual recognition for this was required from both sides. The OT Underground Mine Development and Financing Plan states that OT will repay current and future loans. The Mongolian government lent the 34 percent of OT Project from Rio Tinto. How will this loan to Rio Tinto be repaid? D.Ganbold: People will get confused if we talk too specifically. Let's take Erdenet Mining Corporation (EMC) and OT as an example. EMC was co-established by Russia and Mongolia. At the time, the Mongolian side didn't have money so its 50 percent of the company was loaned from Russia. The loan collateral was EMC's copper mine and its future profit. Mongolia repaid its loan until 2000. In other words, Mongolia didn't receive its 50 percent dividends from 1978 to 2000. If we took a loan, it should be repaid. Although Mongolia didn't get its dividends, it gained money from taxes and fees, including royalties. We all know how EMC changed the image of Mongolia's economy and financial prospect. OT is a project two times bigger than EMC. Only a year ago, it began productions and has sold a million ton of concentrates so far. B.Byambasaikhan: The OT Project is a mining business joint ventured by two owners. People do business to profit. The majority of OT's resources are deep underground. The company will profit more if those resources are mined and processed before marketing to the global market. Rio Tinto accepted the duty to execute this project efficiently and signed an agreement with Mongolia. In accordance with this agreement, we're holding the principle to work with more profit. Mongolia's started receiving revenues from all types of taxes, fees and charges. At the recent negotiation, we agreed to charge five percentage of royalty without cutting costs from fees for the use of mineral resources. People misunderstood this as OT cutting its costs. Companies that have given partial payment will repay their remaining sums. People are interested in the Mongolian side's yield from the project that's become 54.9 percent. 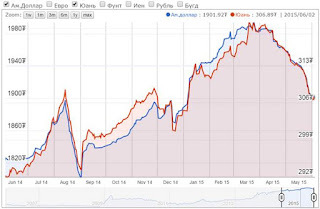 Why was Mongolia's yield increased by 1.9 percent? B.Byambasaikhan: The main factor was copper price. Mongolia's yield was estimated at 54.9 percent by calculating with current copper prices. The investment agreement didn't state about project yields. Both sides had verbally agreed that the Mongolian government would take 53 percent and Rio Tinto 47 percent. Yield ratio was issued in the new plan for the underground mine. We've made financial modeling according to international standards for mining. This made Mongolia's yield increase to 54.9 percent. B.Byambasaikhan: 45 to 54 billion USD is estimated to accounted to the Mongolian side. This approximation was made while considering fluctuations in costs. D.Ganbold: Mongolia's yield from the project can increase and slightly lower the counterparty's yield depending on the market price, technology, other situations and ore contents. We don't know what could happen in 100 years. The principle for accounting yield will remain the same. We've written this on paper, and have mutually agreed and signed the paper. B.Byambasaikhan: Mongolians will gain its share of the profit from OT if the mine works proficiently. Mongolia has to run a good government within the scope of its legislations and investment agreement. The feasibility study will manage OT's operations and the government will implement. Our government has been taking measures to increase OT's efficiently though its representatives in the board of directors. Now, an even more specific measure will be taken. Sales and audit of OT will be monitored by Mongolian representative members in the board in accordance with the recently approved plan. How will financing for the underground mine be raised? B.Byambasaikhan: There's an estimation stating that investment of 5.7 billion USD is required for the underground mine development. We've planned to have 4.2 billion USD lent from banks and get the remaining balance from OT's revenue and money inflow. What conclusion has been reached for tax related issues? There were some conflicts about differences in accounting method. Was Mongolia's method acknowledged? B.Byambasaikhan: We've reached a mutual understanding. We've agreed in the investment agreement that we'll create conditions for sustainable operations for OT. The 2009 investment agreement is a document that was established within the framework of all legislations that were effective in Mongolia at the time. The Tax Law was amended in 2011. A Mongolian tax inspector inspected OT against the amended Tax Law of 2011 and charged a penalty from the company. We've negotiated to have all inspection and checkups done according to tax laws that were issued in the 2009 investment agreement. Who will be in charge of raising the investment of 4.2 billion USD? B.Byambasaikhan: The board of directors of OT has been given that responsibility. If they work well, Mongolia will get a loan of 4.2 billion USD and begin development work. Certain permissions and licenses are necessary for constructing development works. Mongolia's licensing agencies should work quickly. This way, development of the project will progress quickly, create 3,000 jobs, and improve the economic circulation. Besides attracting funds, what other works need to be done? D.Ganbold: Political policy decision has been made. Now, the company works are starting. Land and water approvals need to be acquired, the feasibility study have to be approved, and human resources need to be found and trained. Daily operations will begin now. B.Byambasaikhan: Economists made estimation that the Mongolian economy suffered a loss worth three billion USD due to the delay of the OT Project. Still, we've prevented further loss and laid a foundation for increasing jobs and raising profits. Mongolia knows extremely well that it's impossible to attract investment if Mongolia hasn't got credibility on international markets. People started looking at Mongolia from a positive perspective when it announced that it'll work consistently to the investment agreement that was initially established with our partners. This shift in views can be seen from the improvement of evaluations for bonds released by the Mongolian government and the private sector at international markets. We'll continue to do bigger negotiations in the future. The global market is open to Mongolia if we can be more responsible. May 29 -- Aspire Mining Limited (ASX: AKM, the "Company" or "Aspire") is pleased to advise that it has received completed applications and firm commitments in excess of the minimum $2.75 million subscriptions. As the Company is continuing to receive interest in the placement from overseas, the Board has resolved to extend the capital raising period by one week until 5 June 2015. The capital raising is priced at 2 cents with a one for two free attaching two year option exercisable at 3 cents. The Company notes that well in excess of 50 investors have subscribed to participate in this capital raising which has satisfied the requirements for quotation of the attaching options on ASX. June 2 (MSE) Mongolian Stock Exchange organized 5 securities trading sessions and made transaction of MNT759,574,680.00 between 25 May 2015 and 29 May 2015. 68,637 shares of 39 joint stock companies worth of MNT 74,574,680.00 were traded. 6,850 Government retail bonds worth of MNT685,000,000.00 were traded through one bonds trading session. As of May 2015, market capitalization was MNT 1,253,898,741,087.00 which indicated increased of 0.57%, and MSE ALL index reached 921.67 units which indicated decreases of 0.46% from the previous week. My 29 (MSE) "Ard Financial Group" LLC owns 45,028 shares or 84.6% of "Jinst Uvs" JSC. According to the Article No. : 22.1 of Securities Law of Mongolia, "Ard Financial Group" LLC make an offer to acquire rest of "Jinst Uvs" JSC's 8,198 shares or 15.4% and sent the request to the Financial Regulatory Commission on 26 May 2015. May 29 (Mongolian Economy) The Mongolian Stock Exchange has done some spring cleaning and the facade of the building received a make-over. Alongside the renovations outside, some good news is also coming from the inside – a secondary public offering (SPO). The MSE-listed BINSE Inc. (formerly known as Bayan Khairkhan Inc.) requested to introduce an additional 1,000,000 shares, which would be a 78.8 percent increase on top their current 1,268,320 shares. Of these new shares, 200,000 shares will be sold under convertible loan agreements, and the remaining 800,000 shares are going to be offered to the public at MNT 744 per share. The primary market trade for these securities is going to be organised from June 3-16. In the past, BINSE cooperated with Education TV to prepare numerous educational and promotional programs about endemic livestock diseases or illnesses caused by minerals in order to educate Mongolian herders. They initiated and implemented a project to provide a continuous flow of capital to veterinary clinics to bolster them. In addition, the company has initiated many corporate social responsibility projects to improve the health of livestock in Khuvsgul province. BINSE's operations specialise in animal medicine production and import activities. In our country, 40 operational medicine companies are supplying 60-70 percent of the sector's consumption, meaning that 30-40 percent of the market is up for grabs. The company will continue to intensify its activities, while working to increase its market share. They have a plan to organise a project to make veterinarians and breeders shareholders of the company. In doing so, BINSE hopes to gain regular customers and a stable market. BINSE Inc. is the official representative of Canada's Topsurf Inc. in Mongolia, and imports products from the company's factory in Nanjing, China to supply the herders. Nanjing Vetop Pharma Co., Ltd operates a leading veterinary drug production factory in China. All stages of production take place in accordance with Good Manufacturing Practices (GMP) regulations. The production process has four stages. Nanjing Vetop Pharma boasts a highly qualified and experienced workforce equipped with professional laboratory to ensure quality control from the first materials until the final product. They employ 100 research and development employees and 15 quality control staff, all with proper licences and certificates. On top of being widely sold in Chinese provinces, Nanjing Vetop Pharma's products have been expanded to the markets of Africa, the Middle East, Latin America and other countries. BINSE is planning to build five modern medicine supply warehouses covering the eastern, western and central zones by issuing additional shares over the next 1-2 years adding up to MNT two billion. They are concurrently intending to establish an online ordering and registration system using modern technological solutions. A total of 827 companies are registered and operating in the veterinary and animal health sector. As of last year, BINSE is contractually cooperating with 257 entities in the veterinary industry throughout the country. Contractors in Khuvsgul, Arkhangai and Zavkhan provinces have the most customers and purchase the most supplies out of the 19 provinces in which BINSE operates. Currently, Tuv and Selenge provinces do not have contractors. Given that Tuv province is geographically close to Ulaanbaatar, distributors in the capital mainly supply products to Tuv's herders. As for Selenge province, the company expects to establish a contractor in the near future. The company aims to increase its circulating capital by issuing additional shares, and they say that shareholders too should benefit from the increased liquidity. BINSE Inc.'s shareholders and board of directors agreed that holding a SPO is the right move. MNT 300 million worth of funding will be gained by issuing additional shares, and they have planned to use the money to finance working capital and purchase products. June 2 (Bloomberg) -- FX reserves fall 30.44% y/y, down 23.2% YTD, according to data on the Bank of Mongolia website. June 2 (Bank of Mongolia) On the Foreign Exchange Auction held on June 2nd, 2015 the BOM has received bid offers of USD 1.0 million in a rate with MNT 1906.00. BOM has not accepted the offer. The BOM has not received any bid offer of CNY. On June 2nd, 2015, The BOM has received MNT Swap agreement bid offer equivalent to USD 35.55 million from local commercial banks and the BOM has accepted the offers. June 2 (Mongolian Economy) The entire world is recovering in these years after a crisis. Almost every country's economic outlook is showing slow growth. However, among Asian economies such as China, India, Indonesia and Mongolia, the economic graphic looks rather peculiar compared to others. According the research conducted by the UN Economic and Social Commission for Asia and the Pacific (ESCAP), these countries' high economic growth is not of the "quality" we would like to see in the context of their social situations. This commission conducts regional economic studies annually and provides reports. This year's report noted that this type of high but disproportionate economic growth is vulnerable and unstable. The main advice ESCAP is giving to countries is that focusing on the numbers is the most important thing. Sustainable development comes about only if the growth affects all social strata. The commission is appealing to policymakers that "benefits of development policies must have a wider effect, and social protections must be improved." In order to do that, policies on various sectors must be coordinated. In addition, they determined that the economic performance of 16 countries in Asia is satisfactory at the national level, but the effects seen differ regarding gender, cities and rural areas, and geographical zones. The appropriate way to mend this issue is to support small- and medium-sized enterprises and create new jobs. Researchers came to the conclusion that it's impossible to fight poverty and inequality and create new jobs without a strong, effective private sector whose voices are heard. According to National University of Mongolia's Dr. Ch.Khashchuluun, the most noticeable issue in Mongolia from the above mentioned features is inequality. Mongolia's economy is labelled as high-risk and of poor accessibility and quality because its economy growth is heavily dependent on one sector. The UN resident representative has warned that economic growth will not become efficacious for all and of high quality if the economy is not diversified. On top of this, inequality is worsening, with the gap between the rich and the poor continuing to widen. Total consumption of the lowest-income households does not reach 20 percent of the consumption of high income households. Income gaps between regions have also gotten bigger. Ch.Khashchuluun said that today's social phenomena such as slowing economic growth, investment shrinkage and rising unemployment can largely be attributed to this uneven growth. Appropriate labour remuneration is a human rights issue. However, income inequality reduces economic accessibility and creates lopsided growth. Therefore, ESCAP's key message to the world is that equal opportunities must be given to everyone and income distribution should be more equal. June 2 (Mongolian Economy) There's an expression: "only the poor understand the suffering of the poor". Many distressful issues are arising in our lives today due to rampant unemployment and the government's shoestring budget. When looking at poverty, statistics and analysis can only reveal so much. In this interview, I tried to share my impression of the people who live on the fringe of our city and suffer from debilitating poverty. Poverty is a condition where people's basic needs for food, clothing, and shelter are not being met. It would not be a lie to say that every person who I met for this interview suffers from a basic lack of food. A mother of six children said that mealtime usually consists of her feeding her children one slice of bread while she eats nothing herself. Poverty in Ulaanbaatar affects about 40 percent of the total population, and has not decreased from previous years. Today's economic situation has made the lives of Ulaanbaatar's poor more miserable than ever. The family of P.Batbayar resides on the outskirts of Songinokhairkhan district on a piece of unfenced-in land they don't own. Their household has six members; their only daughter is four year's old. When I arrived at their ger, their 15 year-old son was asleep on a bed. He occasionally groaned in his sleep; when I asked his mother, S.Tsatsraltuya, if he was sick, she replied: "No, he's not. He's dropped out of school and stays at home. So he sleeps in the morning." Batbayar and Tsatsraltuya are only40 years old, but their best years might be behind them. Save for food stamps, they receive no welfare from the state. They receive no childcare money from state because of documentation issues. They receive a total of MNT 40,000 per month from the Food and Nutrition Social Welfare Program initiated by the government, which gives a monthly allotment of MNT 10,000 to adults and MNT 5,000 to children who are considered the most vulnerable members of society. Batbayar's family spends the entirety of the MNT40,000 on their monthly food. The money is basically the monthly income of their household, unless head of the family Batbayar can find anything that might earn him some money from the Ulaanchuluut dumping grounds, where he can earn about MNT5,000 to MNT 10,000 per day searching for recyclable scraps. His wife Tsatsraltuya said: "We will somehow find our food as long as this dumpsite exists. If this place disappears, our life will be in a difficult situation." Recently, Batbayar's family became burdened by the price decline of commodities such as copper and brass; on top of it, the price of iron is decreasing day by day. For example, one kilogram of plastic bottles were MNT 300 in 2014, but now has fallen to MNT 200 in 2015; while the copper price is at MNT 1,500, compared to MNT 4,000 last year. Batbayar is afflicted with a lung disease, which makes him unable to work any full or part-time employment; often, he can't even make it to the dumping ground when he's sick. The trash site's smoke, ash and dust only worsen his health. His wife's bad leg prevents her from picking through waste. They can't get treated at a public hospital, because they don't have insurance, or spare money to spend on treatment. Tsatsraltuya spends her day by looking after her children and reading newspaper fragments brought home by her husband. Her one good leg began to ache last year and has since thinned down to the size of her forearm. Their two middle sons live in the Lord's Grace foster home, and study at School Number 62 in their district. One of them is visually impaired at birth, and the other's eyes suddenly become so poor that he underwent surgery in Singapore at the expense of the foster home. For basic daily necessities, Batbayar's family collects firewood from the dumpsites, and buys five litres of water from a private well for MNT5. They tried to get electricity from their neighbor, but they don't have long enough power cable. There are many households similar to Batbayar's, which survive on scraps from the Ulaanchuluut dumpsite. The family of R.Ulaanbandi, a household of seven, resides two streets away from Batbayar's. Besides Ulaanbandi's four children, his brother-in-law lives with them. Their family moved to the city from Bayankhongor aimag in 2004. Ulaanbandi and his wife D.Batsaikhan are both 32 years-old, and both are unemployed. They said that they intend to work when the construction work begins. They also make the daily trip to the Ulaanchuluut dumpsite. If R.Ulaanbandi goes to the dumpsite alone, he can earn MNT 7,000 to 8,000 thousand per day; if his wife comes along, they earn twice as much. Ulaanbandi has spinal issues, so he said that he cannot perform hard labour. Their household's main income is MNT 80,000 in childcare money they receive from the state. They spend all their money earned from the dumpsite on daily food, so they don't have the privilege to save money. Their youngest child is three years-old. There is no preschool for her to go to. The wife Batsaikhan said: "It's hard to find a job, even if I want to, because employers set age limits and look at your appearance." When she searches for a job, she finds only cafeteria washer and cleaner positions to be available. She talks proudly of the MNT 300,000 she earned working in construction last summer. But issues like overdue payments are common. She said that working a dumpsite is much easier, because there's no fear of begging someone to get paid. Their family usually uses only one sack of coal per day, but they use more during the winter. In the past, they received a 50 percent discount on their electricity bill from the government's improved boilers project; but now they're paying around MNT 50,000 per month. The seven-member household spends 10,000 to 20,000 per day, even if they try to reduce and save. The World Bank defines poverty in absolute terms. Extreme poverty is living on less than USD1.25 per day, and moderate poverty is less than USD 2 a day. 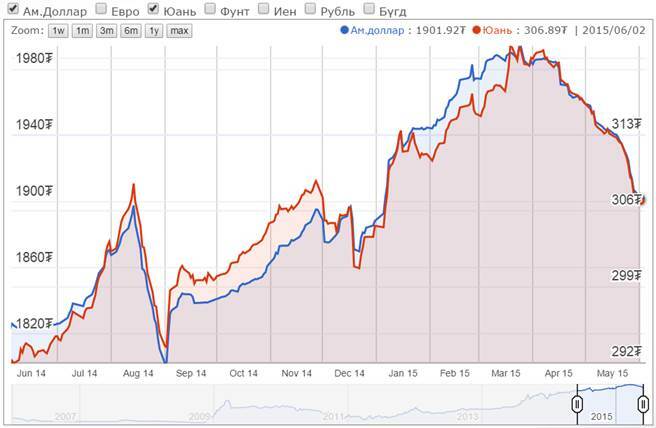 This is about MNT 1,994 to MNT 4,000 (as of the March 25, 2015 Bank of Mongolia exchange rate). Poverty will exist in our country as long as we have families who feed their children six slices of bread per day. B.Bauvarjan's family of nine lives in a five wall ger in the boondocks of Ulaanbaatar's central Chingeltei district. Bauvarjan's family lives in his wife B.Saruultsetseg's mother's home. They have six children; the eldest son is 16 and the youngest is two. Saruultsetseg's mother is 60, and lives together with the family. Saruultsetseg said that although they moved here from Tov aimag 15 years ago, they're livelihood became more difficult only in recent years. The family of nine live on their grandmother's pension and the children's state childcare money, which totals MNT 350,000. In Mongolia, four children bring mothers the official state honor of 'Second Order of Glorious Motherhood', and an extra yearly MNT 100,000; Saruultsetseg receives this money too. She said that her mother had to take a pension loan to celebrate Tsagaan Sar in February. Her husband used to work for a construction company, but it went bankrupt and he's now unemployed. A sack of flour lasts only a month in her family, because when they don't have meat they use flour to bake bread and fritters. They rarely buy vegetables. Saruultsetseg shyly said: "Right now we don't have flour, so I just told everyone to ration the last remaining bread. We give two slices of bread to our children in the morning, afternoon and evening. Our dinner is two slices of bread and tea, after eating it we go to sleep." Mostly they're out of supplies at the end of the month, but when they can afford to, they usually eat soup. Their families and relatives live nearby, but they're lives are not much better. The household pays around MNT 40,000 per month for electricity, which comes from the grandmother's pension. Bauvarjan worked for two places but could not get paid, and now sits at home, his efforts no better compensated than a slave's. There were many people who performed such free labour in almost every household I met. They blame the lack of compensation on the country's economic troubles. In the past, small construction companies were able to at least pay their workers, but now the situation is different. WHAT HAPPENED TO THE GOAL TO REDUCE THE POVERTY RATE TO SINGLE DIGITS? N.Chagdarsuren's household currently guards the backyard of an office building in Songinokhairkhan district. Their family has four members; they don't have their own land and are forced to shuffle around to different places like true city nomads. The couple has a daughter, Undrakh, who is 25, and a four year-old grandson. Chagdarsuren is 77 years-old, and moved to the city from Bayankhongor aimag nine years ago. When he was young, he worked in construction, farming and animal husbandry, eventually coming to the city to send his only daughter to school. But his daughter only finished 8th grade, and didn't study further. Undrakh has been looking after her parents since 2008. Chagdarsuren's wife had a stroke seven years ago. Today, half of her body is paralysed, and she doesn't recognise her family members. The elders are retired, and their household's monthly income depends on their pensions, totaling MNT 400,000. Besides daily living needs, they spend most of their money on medicine, which can easily reach MNT 200,000 over the course of two weeks. Aten pill pack of blood pressure medicine costs around MNT 10,000. They receive no nursing, medicine or welfare money from the state. Recently, their daughter pleaded for nursing money, and a local doctor's council gave a positive answer to her plea. Their total electricity bill is MNT10,000 per month. The owner of the backyard gave two car trunks full of coal as a guard's salary, which was a big help for them. Chagdarsuren buys pain relievers, headache and blood pressure medicine when he gets his pension. He said that when he feels alright enough, he doesn't buy his medicine to save money. It's obvious from their talk that they closely calculate their money to make sure it's sufficient. Chagdarsuren manages the finances and gives some money to his daughter to let her buy food. Their daughter said that even though she wants to work and earn money, she needs to look after her parents. This year, our country set a big objective to reduce the poverty rate to single digits. Yet in the last five months, poverty has skyrocketed—Ulaanbaatar's poverty rate is almost double what it was in October 2014—now at 40 percent and rising. These statistics can be seen in consumer confidence index research conducted by professor of the National University of Mongolia Dr. B.Altantsetseg. According to her, Ulaanbaatar's poverty rate depends on the level of household income and economic conditions. B.Altantsetseg said: "Poor household livelihoods deteriorate at first when the economic situation deteriorates. This causes poverty to increase." In particular, low income households which are headed by a female are more vulnerable to the economic situation. When in the field for this report, I heard more often about single female-headed households than single male-headed households; but every household has their own troubles. S.Enkhbayar, who lives in Songinokhairkhan district with his one and a half year old daughter and four middle-school-aged children, is in a difficult situation. His wife died 10 days ago from breast cancer. He said: "The benevolence money gathered from my wife's funeral has been enough for now. But I don't know how we will live much longer. I hope it'll work out, since I'm still alive. Everything would be fine, as long as I can feed and care for my children." His family's monthly income is his five children's childcare money of MNT 100,000. Before his wife passed, they worked in construction during summers, earning MNT 500,000 to MNT600,000 per month. But now he's alone, and alone bears the responsibility for his children. Can't leave their children, even if they want to work; hard to find a job, even if they search; even if they work, they don't get paid—city life has such different shades, but the lives of the city's poorest are getting darker every day. The warden of Chingiltei district's khoroo 12, J.Oyuntsetseg, said: "Because of welfare indulgence, people have become dependent on it, and seek the easy way out instead of fighting." Of course there are people like that. But this generalisation ignores the vast majority of poor out there who will starve to death without state welfare. Let me say it again: Ulaanbaatar's poor are increasing day by day. Only employment can drive and strengthen this weak economy. A sentence from the president of the Bank of Mongolia N.Zoljargal should say it all: "If the citizens of Mongolia become unemployed, then the whole country will fall into the abyss." May 29 (gogo.mn) Plenary session is scheduled for today. 4. Draft Resolution of the State Great Hural on "Approval of State Energy Policy"
5. Draft resolution of the State Great Khural on "Approval of the Main Socio-Economic Development Principles for 2016"
June 2 (gogo.mn) Party Groups and Coalitions seated at State Great Khural have sessions today. June 2 (news.mn) The previous Prime Minister N.Altankhuyag obtained State Property Commission to hire the people who knows their fields very well, and blocked government employees to be in board of directors of state companies. The chief of State Property Representation office, B.Darkhanbaatar said –<< Vice ministers and state secretaries have discharged from their board of directors. Currently, we have updated about 50 state companies . Also, "Dornod Busiin Erchim Huchnii System", "Germon Gaz", "Selenge AZZA", "Darkhan AZZA" companies haven't changed their board of directors. "Shiwee-Owoo", "Baganuur", "Erdenes Oyu tolgoi LLC", "Erdenes Tavan tolgoi LLC", "Erdenes Mongol LLC", "Stock Exchange", "State Bank", "Saving center of bond reckoning" etc companies still have old members in board of directors. Because, Governmental Secretariat and Ministry of Finance organize members of those companies >>. There are totally 57 state companies have board of borders. Hereof, 48 companies have chosen their independent member due to law. In all board of directors, there are 469 members working gemintaly. Hereof, 149 members are independent. If board has 9 members, 6 of them are state property workers. For example, if there was a energy company, 3 members from Minister of Energy, 2 members of State Property Commission, 1 member of Ministry of Finance. After this law, they eliminated 1 member from both of ministry of energy and State property commission. The purpose of this law is first, in every way to add a member who is professional not the ministry chief. Second, tried to choose a new member from Energy and auto road NGO, Federation of engineers, teachers of universities, scientists, explorers. June 2 (news.mn) At a meeting of the Mongolian Parliament, held on 29th May 2015, a Standing Committee obtained approval to discuss energy policy. The discussion will be in two phases, namely 2015 – 2023 and 2023 – 2030. A study will be made of how to develop the energy sector for example, making lists of targets, eliminating losses and the transfer of state property to private sector. Member of Parliament L.Enkh-Amgalan asked Energy Minister D.Zorigt - the Government has many dream projects like Power Plant 5, the Tavan-Tolgoi Station, the Chargait-Hydro Electric Station and the Egiin Gol Hydro Electric Station that have not been completed. How do we build these stations into policy? Oyu-Tolgoi receives electricity to the value of USD 100 million every year from China; we are losing huge opportunities! How do we implement such a big projects in the future under such conditions? We have shale oil as well as renewable sources such as sun and wind. So why do we import USD 200 million of electrical power per year? Why we are not moving forward? Every energy company has a loss of MNT 60-70 billion every year. This field was always been closed and dependent on politics. Does this policy include all details about transferring the field into private sector? Minister D.Zorigt replied – We will decrease the governmental concern in the energy sector. In order to do this, we will adopt a policy to transform some parts of private companies into open companies, and under public control. We will also improve the management. The East and Western Aimags have a shortage of electricity. Investment in this field has not always been sufficient. Also it requires a good legal environment. We produce 1kW electricity for MNT 144 and sell it at MNT. 122. We, therefore, always lose MNT 22 for every 1kW. Private companies will not invest in such a non-profitable sector. We have been tasked to eliminate the loss in the sector by the end of the year. Currently, all the documents (Egiin gol etc) have become ready for contract. Imported electricity accounts for 20% of total electricity. June 2 (gogo.mn) Erdenes Mongol JSC and Geology and Mining School of MUST have signed the MOU on joint preparation of the human resources and establishing research activities in the mining sector on April 24th. As the first activity in the scope of the MOU B.Byambasaikhan, CEO of Erdenes Mongol JSC is to meet with students of Geology and Mining School of MUST today at 10AM and is to hold open discussion with students on Current State of the Mineral Sector in Mongolia. During the meeting six students with outstanding academic performances will be granted the right to do internship at the Erdenes Mongol JSC in their respective majors such as geology, mining, processing plants, infrastructure and development. May 29 (news.mn) The State Property Commission and combined heat and electricity companies held a press conference on 26th May 2015 regarding the nation-wide power blackout which took place last Sunday (24th May 2015). Deputy Chief of State Property Commission mister J.Tumurbaatar, informed that "the economic loss is estimated at about 2.2 billion MNT". These are provisional calculations. "Erdenet's industrial enterprises sustained a loss of 1.1 billion MNT". Mr Ts.Jargalsaikhan, chief engineer of the National Electricity Network, said "The reason of power cut was a short-circuit incident. This effected the whole system. . But now everything has been repaired and the electricity stations are working normally". It can be noted that the directors of these companies said that no one knows exactly who is responsible for the blackout and how to recover the lost money. May 28 (UB Post) Chinggis Land Development Group, the Mongolian National Chamber of Commerce and Industry (MNCCI), and Mongolian Road Association signed a memorandum of understanding on Wednesday to involve national companies in the construction of a highway connecting Altanbulag, Ulaanbaatar, and Zamiin Uud. The agreement is also focused on increasing the number of Mongolian staff hired for the road's construction, as well as to prepare domestic engineers and technical staff. The memorandum will allow national companies to participate in the project and cooperate with international corporations. The parties believe that Mongolian workers will gain valuable experience from working on big projects and further improve their capacity. Estimates suggest that during the road's construction, 20,000 to 30,000 temporary jobs will be created. Moreover, over 50,000 jobs will be created by trade and service centers, resorts, tourism and business complexes, as well as new settlement zones along the highway. This mega project is being implemented in Mongolia on a build-operate-transfer condition for the first time. The sides established a concession agreement to not take any money or guarantees from the government, and to finish the work without burdening the state budget. Chinggis Land Development has to complete the construction work within three years, and transfer it to the Government of Mongolia after using the road for 30 years. The 1,000 km highway will pass through 24 soums of six provinces, and two districts of Ulaanbaatar. June 2 (news.mn) According to the industrial minister's 101storder, direction of allodium tender has approved on 2015.05.19. Within the accomplishing the tender, selection to choose a project of private sectors to own and use the land in 3rd and 4th parts "Zamiin uud" free zone /located in Zamiin Uud sum, Dornogovi aimag/ has started from yesterday /2015.05.27/. Working council will receive the projects from 09.00am 2015.05.22, until 12.00am 2015.06.05 for only 2 weeks. By starting this selection in free zone, investment from private sectors will improve the construction and infrastructure of Zamiin Uud. May 30 (FT beyondbrics) Mongolia's economy had a bruising year in 2014 with barely a week passing without the currency hitting a new low against the US dollar and foreign investment dropping by a precipitous 74 per cent year-on-year. But last month's announcement that the Mongolian government has broken the deadlock in negotiations with Rio Tinto for the development of the second phase of the Oyu Tolgoi copper mine signals that a new round of foreign investment will begin flowing into the country. Saikhanbileg Chimed, the prime minister, has been building a clear case that Mongolia's economic growth will stall without foreign investment, appearing on national television in January to hold an X-factor SMS style vote on the question of whether Mongolians want austerity or prosperity. The majority of the country's 3m citizens texted "prosperity" which he has taken as a mandate turn the green light back on for foreign investment. Foreign direct investment (FDI) plunged to $507.6m last year from $4.45bn in 2012, but the slowdown has given the country breathing room to prepare for the next cycle of FDI. When the dollars begin to flow again, Mongolia is in a much better position to absorb investment than it was at the height of the commodities super-cycle in 2011 when GDP growth surged to 17.5 per cent. There is over $10bn – almost as much as the country's annual GDP – of pent up investment which will enter Mongolia over a two-year-period once Rio Tinto begins work on the second phase of its flagship mine and other confirmed mining projects come online. Since the slowdown, the government has been steadily improving Mongolia's infrastructure. Railway agreements have been signed with the Chinese, the Japanese have financed the construction of bridges and a new international airport, and Ulaanbaatar's city center is unrecognisable from two years ago – a whole network of new roads being installed spanning far beyond the city limits. There are also plans for a new power plant and in January 2015 a tender was awarded to a consortium of firms to develop Tavan Tolgoi, one of the largest coalmines in the world. These infrastructure improvements are reason to be optimistic that the economy will not overheat as sharply as in the fourth quarter of 2011 when inflation spiraled to 12 per cent from 4 per cent in just nine months with sharp price hikes for food, real estate and construction materials. In a more developed economy, the state could have reacted more adeptly in order to increase infrastructural capacity. For Mongolia however, the government had very little access to international project finance and lacked the expertise to execute large-scale developments in such a short period of time, leaving it without the tools to accommodate extraordinary growth. As Mongolia's largest real estate group, our construction and cement business was squeezed by higher prices caused by a two-day back up of imports at the border with China at the height of summer 2011, which ultimately led to increased prices for construction materials. Four years on, we are more confident about the fundamentals as the country's middle class matures. Mongolia's economic growth hit 7.8 per cent last year – a rate that neighbouring China and Russia would envy, and with the Rio Tinto project back online is set to surge once more. Mongolia is a growth story. Back in 2000, GDP per capita was less than $475 per annum at prevailing exchange rates, with average incomes even lower. The mining and service sector boom and low birth rates pushed GDP per capita to $4,000 by 2013 and that is likely to rise to $5,000 per capita in coming years. That is a nearly 10-fold increase in the space of a decade. However, Mongolia is still a frontier market and together with the vast opportunity in the country there are still cautionary notes to sound, primarily related to political risk and resource nationalism issues. In February 2015, the president pardoned Justin Kapla and two other former executives at South Gobi Resources who had been imprisoned under tax evasion charges after not being allowed to leave the country for two years. A review of the tax and legal framework around property investment in Mongolia provides a very favourable framework when benchmarked against many other countries in the Asia Pacific region, and has been a driving force behind the ability of the country to attract foreign investment into the property and construction sectors. It is one reason we are confident that Mongolia's economic fundamentals are strong and now that the tide is turning on FDI, this new phase of growth will be more sustainable. May 29 (Oxford Business Group) A shift by Chinese buyers away from foreign suppliers to Mongolian coking coal, combined with increased optimism over a return of foreign investors, may offset the sharp global downturn in both demand for commodities and in coal prices, though it will be some time before the effects of any rebound are felt in the industry. Despite the slowing of the Chinese economy, demand for energy, and in particular coking coal, remains solid. With improved transport routes being developed – including both road and rail – Mongolia is finding itself in a stronger position than in the past, as it will likely be able to supply an increasing portion of China's needs due to lower shipping costs and quicker delivery times. Australia, formerly one of China's main suppliers of raw minerals and coking coal, has seen its exports to China slide sharply in recent months, dropping 18.2% in Q1 compared to the same three-month period in 2014. While there has been some falling off in demand, much of this decline has been a result of increased penetration by Mongolian producers into the Chinese market. Improved economies of scale as production is ramped up and far lower transport costs mean that Mongolian coking coal was being sold to China at MNT93,195 ($47.99) a tonne as of March, less than half the MNT210,300 ($107.57) for the Australian equivalent. This price advantage saw Mongolian coal exports to its neighbour climb to 3.14m tonnes in the first quarter, a 55% increase year-on-year. Looking forward, transport costs are set to decline by up to one-third with the planned completion of a new rail link from the Tavan Tolgoi coal basin, the location of some of Mongolia's largest coal reserves, to the Chinese border. The mine, with estimated reserves of over 6bn tonnes of coal, could generate earnings of up to MNT488trn ($250bn) over the next five decades, though this will be dependent on sizeable investments of up to MNT19.5trn ($10bn) and on political consensus. There are concerns that the licensing process for the consortium could be held up in parliament, which in turn could further weaken Mongolia's image as a foreign investment destination. May 28 (UB Post) "Code for Green UB" is an initiative by the World Bank, Korea Green Growth Partnership, Startup Mongolia and Internews LLC to use ICT-based tools to address green development challenges in Ulaanbaatar. Within the scope of this initiative, a competition for environmentally friendly business projects was announced among inventors. Seven projects were selected for the final stage and BES team became the winner with their sealed heater that saves water and electricity. BES team received a start-up business financing of 4,500 USD and a mandate to attend an Asian-wide business meeting to be held in South Korea later this month. Inventor of BES team's sealed heater N.Davaa gave an interview about his design. I spent my childhood in Nisekh, near Chinggis Khaan International Airport. I was very interested in airplanes and satellites. I wanted to know how satellites and rockets are able to stay warm without freezing in space at minus 200 degrees Celsius. I asked my friend to buy me two 60 cm-long aluminium pipes from a satellite manufactured by NASA in 1998 from abroad. A little bit of heat conducted to that pipe spread evenly throughout its surface. When I tried opening up one of the pipes to see how it passed heat evenly, it contained 20 g of liquid substance. I had it analysed at a laboratory to see its chemical compound. That organic liquid evaporated at 20 degrees Celsius in a vacuum environment and evenly spread heat. When cooled, it returns to liquid form. I believed it was possible to resolve smoke issues in ger area if I create a cheap, water and electricity saving heater with this liquid. I wasn't able to do it by myself. I formed a team with T.Oyunbat, who worked in the heating system of the Netherlands' Philips Company, and B.Zolboo, who worked at Japan's Toyota Motor Manufacturing. In 2009, we had 20 heaters with standard sizes assembled in China. We couldn't provide technological criteria if we manufactured it in Mongolia because there aren't welding tools and equipment or production. After assembling 20 heaters in China, we returned to Mongolia and participated in the technology exhibit organized at Chinggis Square. Special commission from Russia saw our heater there. They were fascinated to see it heat up with little electricity. But Mongolians weren't that interested. A year later, my friend who introduced us to China's workshop called me and said that three to four large productions for manufacturing heaters were established near the workshop. When we went to those productions, they were manufacturing and selling heaters that we invented. Didn't you get a patent at the time? We had intellectual property rights, but it wasn't of use. I recently saw news of two large countries that steal patents globally. They are China and Russia, and they happen to be Mongolia's neighboring countries. Still, we have the upper hand since we first manufactured sealed heaters. China and Russia manufactures the standard sized 55 cm tall heaters we first produced. They can't manufacture heaters with different sizes because they didn't create those heaters and can't adjust the amount of the organic liquid. But Mongolia can produce heaters of any size and design that suits Mongolian gers, houses and glass buildings. Although your creation has been introduced to our two neighbors, Mongolia is finally becoming aware of it. At the time, didn't you get support from related organizations? We introduced our heater to the City Governor's Office and related ministries and agencies. We even collaborated with the Ministry of Energy and the Mongolian Energy Development Center and won the Best New Technology Award by participating in the Energy Mongolia-2013 International Exhibition at Micheel Expo. Inventors from five countries presented their energy saving technologies at that event. Although our creation won, Mongolians didn't pay attention. People are now getting interested though the implementation of Code for Green UB initiative. Thanks to this measure, the state and related ministry expressed support for our product. It's possible to manufacture and sell each sealed heater for 250,000 MNT abroad and for 100,000 in Mongolia. We've studied that there's a market worth 150 billion MNT in Ulaanbaatar for selling heaters. Furthermore, 1.2 billion people are using heaters across the world. Therefore, we're working to establish a metal fabrication factory and manufacture heaters. We will not only supply Mongolia's domestic market but also export heaters that we manufactured, with cost of 50 USD, for 400 to 500 USD. If financial issues are settled, production for heaters can begin by next month. For starters, we're planning to produce 500,000 heaters. Gas, kerosene and electric heaters are used in Japan. These heaters cost very high. Compared to other heaters, using sealed heaters will allow companies to save up to 80 percent of operating costs. Sealed heaters can be heated by hot water or electricity. For example, an average of 10 liters is used per heater to heat up an apartment. Let's say that four tons of water is used to heat a nine floor apartment. Our heater can heat that apartment with 350 liters of water. This shows that there's a massive amount of saving in energy and water. Households in ger area use an average of 100,000 MNT worth of coal a month. If they use sealed heaters, they can get constant heating every month if they pay an additional 20,000 MNT for electricity bills. June 2 (gogo.mn) Ambassador Extraordinary and Plenipotentiary of India to Mongolia, Somnath Ghosh paid visit to Bulgan aimag. In scope of the visit, he agreed to cooperate on introducing advanced technology for processing dairy products as well as cattle vaccination. Moreover, he talked about the training of civil servants which was discussed last year during the arrival of the First Secretary of the Ambassador and this year, civil servants are to be trained in India reported by the press department of Governor's Office of the Bulgan aimag. Ulaanbaatar, June 2 (MONTSAME) The Deputy Prime Minister of Turkmenistan Mr Rasit Meredow is to pay an official visit to Mongolia this June 3, as invited by the Minister of Foreign Affairs of Mongolia L.Purevsuren. The visit will be the first high-level interaction since April 23 of 1992, when the two countries established diplomatic ties. During the visit, the Turkmenian FM and the Deputy PM R.Meredow will pay courtesy calls on the President Ts.Elbegdorj and the Prime Minister Ch.Saikhanbileg and hold official talks with his colleague Purevsuren. They are expected to talk about the bilateral relations and cooperation, particularly about Turkmenistan's joining in the agreement on establishing in Ulaanbaatar the International Think-Tank for Landlocked Developing Countries, and to touch upon regional security and the two countries' cooperation in international arena. June 2 (news.mn) During the visit of Hungarian Minister of Foreign Affairs and Trade Peter Szijjarto, the Hungarian Embassy was re-established on 5th May 2015; the former embassy in Ulaanbaatar was closed in 2006. Mongolian Foreign Affairs Minister L.Purevsuren, Hungarian Foreign Affairs and Trade Minister Peter Szijjarto, Hungarian Ambassador Akos Madari participated in the opening ceremony. During the opening ceremony Minister Szijjarto said– It is important to reestablish diplomatic relations in Mongolia and deepen our relationship. The closure of our embassy nine years ago was our big mistake. I am very glad that we are opening our embassy again, thereby correcting this mistake. Mongolia has become an active player on the world stage. Our country will support Mongolia in all areas. Minister L.Purevsuren said – Mongolians and Hungarians have long standing relations. Closing the embassy in any country has a negative effect on diplomatic relations. The Mongolian Embassy in Hungary has been working actively for the last few years. Re-opening the Hungarian Embassy represents a positive stimulus in deepening our diplomatic relations. We have ambitious plans for co-operation in the areas of agriculture and culture in the future. Also, the two ministers signed an agreement. Mr Purevsuren said - Our friendly relationship is becoming deeper. For example, in October 2014 the Mongolian President visited Hungary; and, lately the Hungarian President made a reciprocal visit to Mongolia. Therefore, we are now standing on a brand-new stage in our joint relations. During the period from 1950 to 1980, Hungary built a large farm complex (biocombinat) in Songino, bored wells, and provided irrigation for agriculture. For this reason, Hungary has expressed that they are ready to cooperate with us water solutions for the mining sector, irrigation for pasture land and also to undertake water supply projects for Ulaanbaatar. We are very grateful for that. Also we will work on livestock-health and producing vaccines, to increase the possibilities of exporting Mongolian meat. Hungary is a world leader in the study of Mongolia. Today, Hungary confirms that 100 Mongolian students will study under within the framework of our diplomatic agreement. Our two countries will always support each other. The Office of the UB City Governor and the Hungarian Chamber of Commerce have signed a Memorandum of Understanding (MoU) regarding urban planning and infrastructure and to modernize the above-mentioned Songino "biocombinat" under a USD 25.5 million preferential credit instrument from the Hungarian Government. May 29 (gogo.mn) Minister of Foreign Affairs L.Purevsuren held meeting with Minister pf Foreign Affairs of Hungary Péter Szijjártó. During the meeting L.Purevsuren have emphasized that close high level visits of both countries and reopening of the Embassy in Ulaanbaatar city is the significant move that notes the developing of the ties. Both sides agreed to carry on the friendly and traditional cooperation in the education, environment, agriculture and construction sectors. Moreover, during the meeting the Negotiations for Visa Free Entry for 90 days for Owners of the Diplomat and Official Passports has been agreed on renewal and signed by the Foreign Ministers. Also the MOU on the Establishment of the Council Meeting Mechanisms between the Ministries of Foreign Ministries of Mongolia and Hungary was signed. June 2 (news.mn) During his visit to Japan on May 20th-22nd, Mongolian President Ts.Elbegdorj and Japanese Prime Minister Shinzo Abe made an agreement regarding the issue of multiple-entry visas to Mongolian citizens. Prime Minister Abe said – I am very grateful for our frank exchange of opinions about our countries. Mongolians respect democracy, freedom and the legal structure. That is why we want to be close partners. As a result of today's meeting, we have agreed to deepen our strategic partnership in a mutually beneficial manner. The relationship between our two countries is good. Mutual trust is the basis of good relations. In order to develop these further, we have decided to free diplomat passport holders from visa requirements, and make it possible for standard passport holders to obtain multiple-entry visas. Within the "21st Century North East Asian Youth Development and Cooperation Program", last year, we invited 300 children and young people. This year we will be inviting 500 more children. Japan will support the Mongolian to economy by sending technical-assistance experts. We would like to cooperate with President Ts.Elbegdorj in every field paying particular attention to foreign affairs, economics, culture and human relations. President Elbegdorj replied – Good evening, dear Prime Minister and respected Japanese friends. This is the seventh time I have met the Prime Minister since 2013. Seeing each other so many time in the space of two years and two months clearly shows how actively our relations are developing. We have discussed many very important issues; Prime Minister Shinzo Abe and I have also concluded an agreement. Mongolia and Japan have become the closest partners in North East Asia. I want to stress the Prime Minister's "Power, Power Plus" Initiative has given a real impulse in developing our relations in this short time. June 2 (Mongolian Economy) Mongolia will host the 11th summit of the Asia-Europe Meeting (ASEM) next year. The Asia-Europe Foundation (ASEF) has agreed to provide support for the preparations for the summit. L.Purevsuren, the Minister of Foreign Affairs, and Zhang Yan, the Executive Director of the Asia-Europe Foundation, has signed a the memorandum of understanding to cooperate in the organisation and related tasks for the 11th ASEM Summit. ASEF will provide technical, financial and organisational support. Official sources said that specifics on exactly where and how ASEF will provide the support will be clarified soon. The Asia-Europe Foundation is based in Singapore and was established in 1997 with the purposes of promoting mutual understanding and cooperation between the people of Asia and Europe through public discourse and intellectual, cultural and individual exchange programmes. To date, ASEF is the only institution with permanent operations in ASEM. ASEF is funded by voluntary contributions from its members' governments and the European Commission and shares the financing of its projects with its civil society partners across Asia and Europe. It is clear that our country will make significant investments and developments to organise the ASEM Summit. Head of the National Council to manage and organise the 11th ASEM Summit, Special Ambassador D.Gankhyag said, "Next year, a number of foreign officials, business representatives, journalists and tourists will continually come to Mongolia starting from May until the end of July. Hotels, entertainment, retail services, companies and entrepreneurs in Ulaanbaatar will have an opportunity establish long and short term agreements to boost their revenues. It will also be a good showing that can positively impact foreign investment by successfully organising such a summit." Russian President to 'personally' monitor situation amid fears projects could alter river flows and harm Baikal eco-system. May 29 (Siberian Times) Vladimir Putin has stepped into the row over Mongolia's plans to construct controversial hydroelectric power plants that could threaten Lake Baikal. The Russian President has joined the growing consternation over potential environmental problems from the giant facilities being built on tributary rivers leading to the lake. Campaigners, including Greenpeace, have already pleaded with the World Bank to block funding for the plants, which will see rivers dammed and water diverted. Levels at the world's oldest and deepest freshwater lake are 40cm lower than in 2013, with water shortages in many communities already and fishermen reporting a lack of fish. The crisis was blamed by many on 'excessive drainage' for an existing hydroelectric station in Irkutsk. Now the plans in Mongolia to build several more plants, one involving the Selenga River, are likely to add further strain to the unique eco-system of the Baikal region. Putin's concern has been outlined in a letter sent from the Ministry of Natural Resources to Alexander Kolotov, the Russian coordinator of the international environmental coalition Rivers without Boundaries. The correspondence said that the President was 'personally' taking an interest in the construction of the Mongolian plants and looking at a study of alternative options. The Ministry of Natural Resources has also asked Mongolia to allow Russian specialists take part in the development of the construction projects. Sergey Donskoy, the Minister of Natural Resources and Ecology, said: 'Due to the fact that the Selenga is in the drainage basin of Baikal, the implementation of the projects would adversely affect the unique eco-system of the lake. Mongolia plans to build several hydroelectric plants on rivers leading into Baikal, with a dam to be built on the River Orkhon. Further dams would be constructed on the Egiyn-Gol, Tola, and Delgermuren rivers. Officials in Mongolia have insisted they have 'no plans' for a plant on the Selenga, but admitted one option does involve a tributary to that major river. The country's parliament has already said it supports a project on the river Egiyn-Gol, a left tributary of the Selenga. Last week, Mongolian MP Zorigt Monkhchuluun said: 'There has been lots of information in the media about building a hydroelectric power station on the Selenga. Meanwhile the Russian Ministry of Natural Resources has included Mongolian hydropower projects on the agenda of the 39th session of the World Heritage Committee, which will take place in Germany between June 28 and July 7. Thought to be 25 million years old, Lake Baikal stretches for 400 miles through south-eastern Siberia, north of the Mongolian border. It contains 20 per cent of the world's unfrozen freshwater reserves and in places is said to be about 1,700 metres deep. May 31 (Hungary Today) Mongolia is set to become a key destination for Hungarian technology exports, Foreign Minister Péter Szijjártó said. Szijjártó held talks with Mongolian President Tsakhia Elbegdorj and Foreign Minister Lundeg Purevsuren. He said that Mongolia is rich in mineral resources and is home to one of the largest undeveloped copper and gold deposits in the world. The Hungarian Foreign Minister said Mongolia's mining industry and dynamic agriculture have led to a consistent economic growth rate of at least 10% over the past several years. This rapid rate of economic growth has generated a need for technological development, which provides an opportunity for significantly increasing Hungarian technology exports to Mongolia, Szijjártó added. Hungary's President János Áder also payed an official visit to Mongolia in April. He said that Hungarian experts could help to protect Mongolia's water resources, produce quality drinking water and upgrade the existing network of pipes and canals. Mongolia has demonstrated spectacular economic growth since 1990, János Áder noted, adding that Hungary could also help Mongolia further modernise its economy by contributing to livestock improvement. Ulaanbaatar, June 2 (MONTSAME) The Prime Minister and chairman of the National Council for Children Ch.Saikhanbileg delivered congratulatory speech on occasion of the National Day of Mothers and Children celebrated on Monday. In his speech given during a celebration in the Chingis Khaan's Square, the Premier congratulated the children and wished them to become not only professionals but also good persons, to fight for their goals, "taking Benjamin Franklin as an example who had planned and had fulfilled his 65-year goals", and to be happy. June 2 (gogo.mn) MP S.Odontuya received newly appointed UNICEF Representative to Mongolia Mr. Roberto Benes. Roberto Benes congratulated on establishment of lobby group initiated by the MPs which aims to support family and children development and expressed that he will fully support all activities of the lobby. MP S.Odontuya and Roberto Benes put more emphasis on approval and discussion of Children Rights and Protection Law which is being discussed by the State Great Khural and they have agreed to cooperate on certain business proposals. May 29 (Oyu Tolgoi) The "Mongol ger" project, supported by Rio Tinto and Oyu Tolgoi, and implemented by the Global Shapers Ulaanbaatar Hub, was inaugurated in a ceremony on Chinggis Square earlier today. The "Mongol ger" project aims to bring Mongolia's ancient nomadic culture and vital life skills to urban school children by incorporating traditional Mongol ger building programs into school curriculums. Mr. L. Gantumur, Minister of Education, Culture and Science; Mr. Ts. Enkhtsengel, Deputy Mayor of the Ulaanbaatar City; Mr. Andrew Woodley, President and CEO – Oyu Tolgoi; and, Curator of Global Shapers Ulaanbaatar Hub, Mr. Z. Enkhmunkh attended the ceremony. Speaking at the event, Mr. Andrew Woodley said: "The Mongol ger project is an initiative to bring Mongolia's ancient nomadic culture and traditions to today's urban youth. The program will not only teach about the past, but will help reinforce values, like respect and teamwork. We believe that to move forward, we must learn from the past – and this project will help create truly enduring value, knowledge and skill that build on Mongolia's rich history." Funded by Rio Tinto and Oyu Tolgoi, 60 model gers were produced by students of the Institute of Engineering and Technology of Mongolia for the project, and distributed to public schools around Ulaanbaatar to allow for practical demonstration and development. The ceremony was brought to life by a theatrical performance of "New Ger Feast" by the Mongolian National Song and Dance Academic Ensemble. A ger building competition was also held, emphasizing the teamwork and cooperation needed in the activity. Oyu Tolgoi has paid US$78.5 million (this includes a US$20 million pre-payment) in taxes, fees, and royalties to the Government of Mongolia year-to-date in 2015. June 2 (UB Post) Until recently, Mongolian studies were limited to topics such as history, culture, tradition, religion, shamanism and reindeer people. However, the University College London (UCL) has recently commenced a new project to conduct a study on the current changes in Mongolia's economy and society from an anthropological point of view. This project, which is funded by the European Research Council, has a research team that consists of researchers from the United States, Australia, the United Kingdom, Germany and Mongolia. Their project coincides with us, the Mongolians, looking back at our 25-year political, economic and psychological transition, which commenced after the democratic revolution. We are reviewing our progress and identifying the new challenges that lie ahead of us. We have always been measuring our economic growth using indicators such as GDP, total production in mining, exports, foreign investment and prices. Also, we often talk about how the benefits of economic growth have not been delivered to ordinary households, despite the growth rate that impressed the world. The project team will study what impacts the economic changes are having on the daily life of Mongolian people, how it is influencing their mentality, and what trends could be expected in the future. It appears that their study will be based on what changes are being made to living conditions in urban and rural areas due to the developments in types of property ownership, bank services, loan terms, mining and commercial industries. This new approach will help us provide accurate information about Mongolia and its people to foreign countries, and assist us in making political and economic decisions. The study will also be useful for understanding the manner in which new information, initiatives and values affect the economic decisions of ordinary people. It will examine what outcomes everyone's choices are producing in the environment and how they contribute to shaping social and political relations. Political decision makers in many countries are currently talking about reviewing and making changes to the economic models that once were commonly perceived to bring about great prosperity. The current events taking place in Mongolia's economy could depict how capitalism is formed in a developing country. This project will help discover how the policy that produced impressive economic growth only a few years ago, has now led to a sudden decline, tugrik depreciation, and increased debts. The project team emphasises the emergence of a new economy and area of anthropological research in Mongolia. It is followed by new social relations and interdependence. The project will focus on five key areas: changes in property and ownership regimes, gendered trade relations, the bank and credit market, social and environmental dimensions of the mining industry, and environmental and nationalist movements in Mongolia. One of the outcomes of this project will be an established methodology to observe the development and changes of emerging subjects. Furthermore, it will help describe how Mongolia's economy is changing, what impacts it is producing on people, and how it is affecting the shaping of the future. The project team hopes that the outcomes of their study will be in a more theoretical place in a few years' time. Currently, it cannot be said that Mongolia's new economy is either a clone of globalised capitalism or has found a new form that can replace the former. The only certain thing is that the economy is not separate from other parts of society, but closely connected to them. It is viewed by the project team that, at the end of this project, the people will have an idea of what kind of economy they want and how they can create it. This article is a brief summary of a new start in Mongolian studies. May 30 (Daily Mail) Embattled FIFA president Sepp Blatter has been caught making wildly optimistic promises he's incapable of keeping as the Mail on Sunday can reveal a propaganda pledge that Mongolia would host the 2050 World Cup. Blatter, who was re-elected football's most powerful man after edging out Prince Ali bin Al-Hussein on Friday, is heavily implicated in startling findings that will raise further ethical questions following the worst week in FIFA's history. Eighteen people, some at the very top of the game, have been charged for taking £100million bribes and kick backs going back over two decades. Blatter was not directly implicated in the FBI's probe, but Sunday's fresh revelations show his grand delusions in genuinely believing he is able to influence the awardal of a tournament 35 years from now. The Swiss will be 105 when voting is cast and met with Mongolia president Tsakhia Elbegdorj in the lead-up to the June 2011 election, giving the emerging country false hope. It is thought that the now disgraced Mohamed bin Hammam, his only rival, was on the way to securing votes in the region before pulling out of the race. These uncovered promises made by Blatter shine a light on the sort of malpractice at the heart of football's top table. In footage recorded inside the Mongolian Football Federation headquarters for charity One World Media and obtained by the Mail on Sunday, a written vow hangs on a wall clearly stating that the tiny footballing nation would host the sport' s biggest competition. It reads 'Mongolia - The Land of Free and Brave will host: Asian Cup 2035; World Cup 2050' before the verified signatures of Blatter and Elbegdorj. On the framed document, Mongolia are urged to bid for both the 2042 and 2046 World Cups. They are also offered encouragement that the 2035 Asian Cup would be held in the country. That is despite the nation having never qualified for either tournament and occupying a lowly 200th spot in FIFA's world rankings. The pledge was signed on January 26, 2011 - the exact same day as Mongolia president Elbegdorj was in Zurich for talks with Blatter. Speaking back then, Elbegdorj said: 'Mongolia has the potential to become a major footballing power. One day we can host the Asian Cup and perhaps even the World Cup. Why not? The Asian country is seeing a rapid economic expansion, driven by its mining industry. Mongolian officials claimed they were 'confident' of hosting the World Cup when pressed, and have since seen FA president Ganbold Buyannemekh banned from football for five years after 'soliciting and accepting' bribes from the former FIFA executive Bin Hammam. FIFA and the Mongolian FA did not respond to requests for comment. May 31 (Inside the Games) Mongolia's National Olympic Committee (NOC) have thanked International Basketball Federation (FIBA) official Koh Koon Tek for delivering a FIBA-Asia coaching and refereeing course in the country. The Singaporean official held the course at Olympic House in Mongolia's capital city Ulaanbaatar, where he was joined by B Orgil, acting secretary general of the Mongolian Basketball Association. The course attracted 40 participants from all over Mongolia, reflecting the growing interest the country has in the sport following promising performances at the 2014 Incheon Asian Games. Both the Mongolian men's and women's teams finished in the top eight in the basketball tournaments in the South Korean city. Jugder Otgontsagaan secretary general of the Mongolian NOC thanked FIBA for sending a high profile official like Koh Koon Teck to the country, to help continue the growth of the sport. The course was also attended by local basketball legend Tserenjankhar Sharavjamts, who was a member of the Mongolian national team at two Asian Games and became the first Asian player to play for the famous exhibition basketball team, the Harlem Globetrotters. Despite the growing interest in basketball Mongolia are more known for their wrestling prowess, having won nine of their 24 Olympic medals in the sport. June 1 (Bangor Daily News) The yurt design has its origins in the folk wisdom of ancient Mongolia where the prototype has, for thousands of years, been found to withstand the severe cold and violent winds of the vast grasslands called steppes. Yurts were originally the dwellings of nomadic herds-people made of wood and felt. In the early 1970s, Bill Coperthwaite of Machiasport recognized the genius of this design and began constructing yurts suitable to our Northeast climate, out of local materials such as rough-sawn wood, steel and glass. Over the next 40 years he did much to improve this modified design. In addition to being a yurt designer, he was an architect, homesteader and author of the award-winning book "A Handmade Life." Mike Iacona of Vermont worked with Coperthwaite on many yurts, and, in the wake of Coperthwaite's passing, he continues to lead workshops in yurt building, and will be leading an upcoming workshop at Owen Farm in Hopkinton, New Hampshire, June 22 – July 4. Owen Farm — a small, organic, family-run farm owned by Derek and Ruth Owen — will use this building as a meeting place and educational center for farm- and agricultural-related workshops and events. The yurt will be built in honor of Coperthwaite; it's largely his design with a few adaptations by Iacona. 1. You can tell the time of day and the season of the year by the position of the sun coming through the skylight. 2. They are simple to build. The tapered-wall yurt is a democratic design that requires a minimum of carpentry skills to build. 3. They're flooded with natural light. 4. Heat flows uninhibited through a circular space. 5. Yurts provide a more efficient ratio of exterior wall materials to interior living space than a square structure. 6. A tapered wall keeps the siding on the outside dry, while at the same time providing a comfortable back rest on the inside. 7. Many yurts are transportable — essential if you're a nomad. 8. 360 degrees of windows enable an enhanced connection to the outside world. 9. Yurts are round like the sun, moon and the cycles of life.